do you think its too early to make an [ANN] thread for my silver bullion gateway? totally NOT too early! Open it up, I'll join right away! What will public test of Asset Exchnage mean? 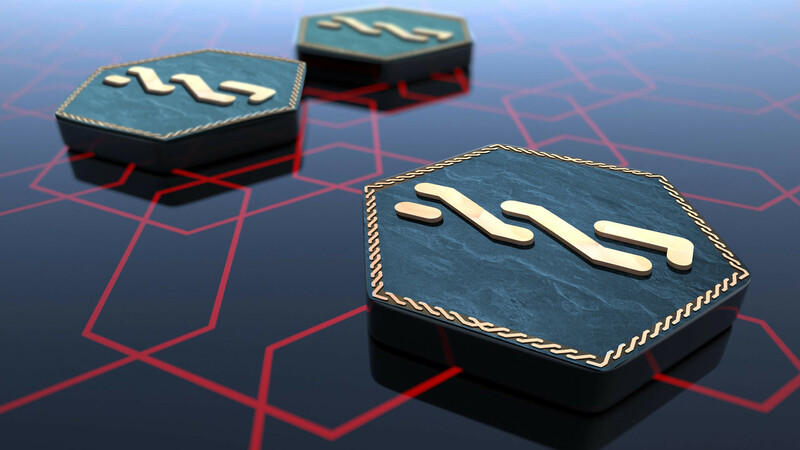 on the TESTNET or on the real nxt-Net? Testnet. I'll be giving testcoins to everyone. I should have something ready in the next week, but probably not monday. Go for it! What would be the downside? Now effective balance 136'722.00 NXT!!! NXTCoin first automated forging platform! Is that really what we want? Centralization? Not think it is as big concentration. My goal is to create different accounts as you get to an acceptable amount. But I do think so. I thank the pool operators for trying to provide a service for the community, but I think forging should remain individual. Granted, Nxt is resistant to up to 90% concentration attacks, but I don't think this is a path we want to follow for multiple reasons. Sooner or later, someone will open a pool and run off with everyone's Nxt. I'm not saying the current ops will do this, but it's bound to happen. You don't get any more using a pool, you just get more consistent payouts. Those with very few nxt could forge something through my system. Also, consider that you can be forged without being individually 24hr online. I think it has advantages and disadvantages. Yet to be seen, if it is efficient. Is a long-term experiment. And think that in less than a week running, seem going to to work very well. If you do not use all your NXTcoin's and you never open your client, what purpose are your NXTcoin's? I think NXTio is the answer to this problem, so I decided to give a solution. Sorry the bad English, I really speak Spanish. I would like a better informing of the participants of your service. If you wish, I can help you with that. Any new ideas here? Decentralized internet and cloud services based on the (Nxt) platform, coupled with a currency and a Proof of Work (or Service) system, that gives the users an initiative to provide space and resources? I live up the road from Kim Dot Com and he's very approachable. Perhaps he could play a role. Kim is a lone wolf, but we could try?! before that block, or we will get forks. unresolvable addresses from being included in the peers list. doesn't matter anymore if your windows console just disappeared. The nxt.log file is overwritten at every server restart. will now print out the block id and the reason for block rejection. requests from blacklisted peers are now completely ignored. and return values of the http API. At the very least I could drop off a proposal that would make him aware of NXT, if he isn't already. It's a long shot but you never know. It might be best to wait until NXT is further down the track. I suspect he has his own currency plans but it would be great if he could help out with a New Zealand NXT hub and/or NZ based NXT/Fiat Exchange. Yes. Making aware is always a good thing. "Scanning blockchain" takes ages (over 10 minutes). On the 11th of Feb we r launching public test of Asset Exchange. Do we have at least 1 client ready for that? What platforms does it support? I will probably start implementing on 11th, so I won't make it. I have some questions for the community in there so please take a look and leave me some feedback. James, how does this affect the status of your VM bounty? Wasn't any trouble, it was fun revisiting a topic (computability theory) I hadn't worked with for a long time. I'm always ok with more nxt though Thanks a lot! Earning Nxt with doing something you like is great, isn't it? First time getting paid by doing 3D work, the work I like very much. Btw http://i.imgur.com/Bz6KfAv.jpg is amazing! The texture feels textured in this version. I didn't like the marble texture much. Will people think that is insulting for their effort (maybe get pee'd off and stop helping?) so I should save up my Nxt till I see something "WOW!" and give a few hundred? I've gotten some small donations and one large one. I appreciate them all the same. Yeah, I wouldn't feel insulted if I were given 1 nxt, I'd appreciate the gesture. I'd love it if there was a way to include a message along with the tip. This is a given in doge tipping on reddit, since the tip bot works via replying to who you want to tip, should be the same way for a nxt reddit tip bot. Would also be natural thing if a site like a forum could integrate a more general tipping software and API. tipnxt.com already has this feature. Don't leave your Nxt account with a weak password. Learn how to create a strong password. chess tourney for Nxt is about to start. missed it, will join next one! I've started a section on the wiki for organizing our projects. In particular, check out the List of Proposals and Bounties page. I'm thinking we could link to stuff that is "active" there. That could be links to forum threads, google docs, or other wiki pages where projects are being discussed and hashed out, and project statuses are being updated. For a good example of this, check out the wiki page for the new address format using Reed-Solomon encoding that NxtChg started a long time ago. Very clearly organized. My thinking is to use the Discussion pages for throwing around ideas, criticisms, suggestions, etc, and use the main pages for summary of the proposal/project status. James, this could be the right place for you to put up your (many, many!) ideas for comment. EvilDave, you could put your carbon offset proposal here too. Lots more projects that I don't remember (this is why we need to put all of them in a convenient place). Pin, maybe it could be easier if you got everyone to post their projects on the wiki instead? Then you can just go through a list of links. Don't worry about messing things up, it's a wiki, everything can be reversed. And don't worry if you don't know wiki formatting, just type/copy and paste. Other people can help you clean things up. If there's demand, I'll put up a quick guide to simple wiki editing. I'll be technical support. Anyone has a problem, e.g. getting errors, can't figure out how to do something, ask me and I'll troubleshoot. Anyway, why are hallmarks encoded to an ip address? A big problem for dynamic ips. Why not a private/public key pair with public key signed by an account?